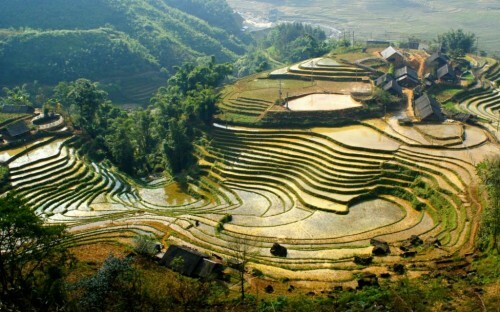 Cheap flights to Vietnam: Hanoi for only €408! Qatar is still on the roll and you can now get really cheap tickets to amazing Vietnam. 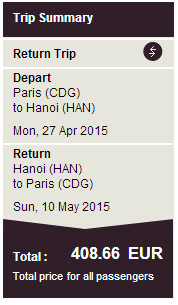 Return ticket from Paris (CDG) to Hanoi will cost you only €408! You would normally pay at least €600 for this trip! There is one stopover in Doha. Travel dates are from April to December. Hanoi offers wide range of accommodation options from cheap hostels to luxurious international hotels so everyone will find place to sleep suiting his needs. It is a good idea to explore a bit more than just Hanoi on a trip and the easiest way to do this is to rent a car and go on a small roadtrip. Be prepared that driving a car in Vietnam can be kind of dangerous so you should be experienced driver. Prices of car rental are generally pretty low in the country. « Really cheap flights to Australia: Sydney for €619!